We all like shortcuts. Video games have cheats to get past the boss at the end of the level. We’ve all snuck in a peak at the end of the book. Escalators are popular for a reason. All too often when the topic of airway management comes up we take similar shortcuts. We get straight to the intubation bit. Or the equipment bling. Or the surgical airway debate. We go straight past the first bit that seems so basic but sets up the rest of your success – the bit with the bag and the mask. 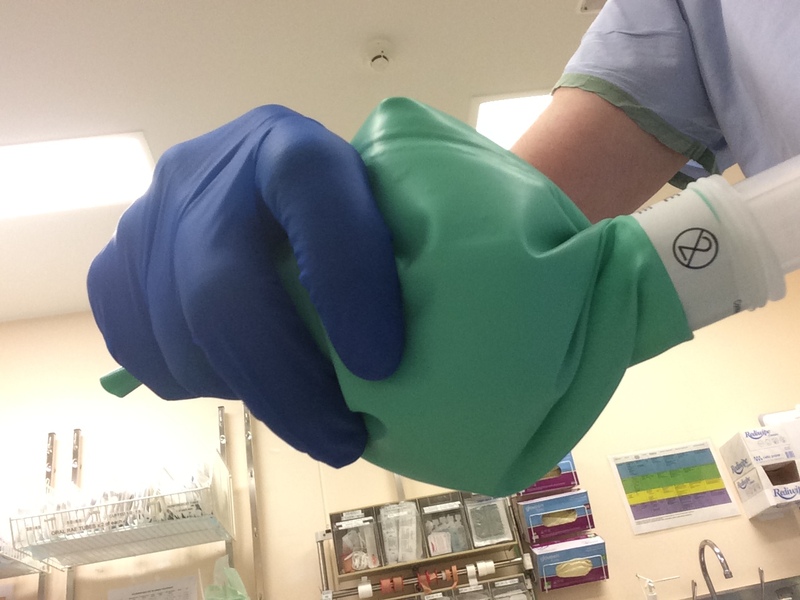 This part of airway management is particularly important in kids’ anaesthesia where inhalational induction is a standard technique and there’s a good chance you’ll be managing a spontaneously ventilating patient for a bit. 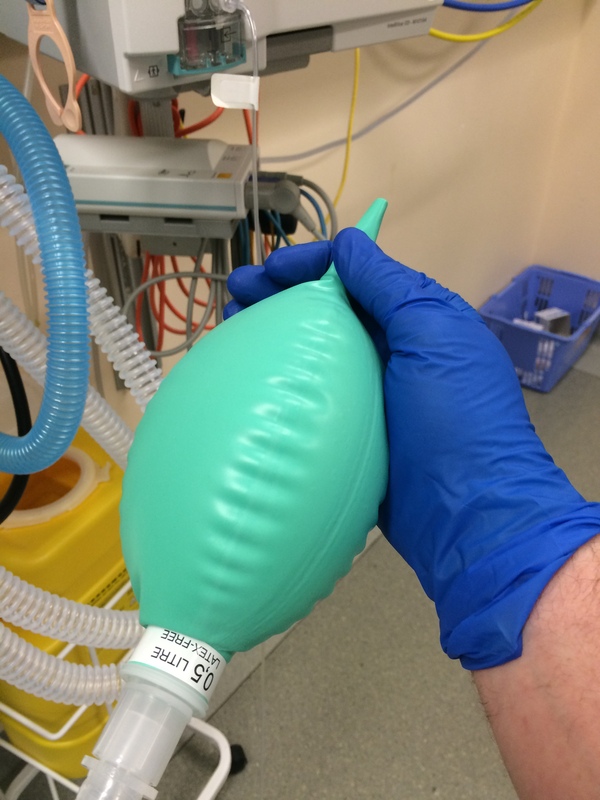 It is a little different to bag-mask technique for the older types and those older patients don’t tend to go through a phase of bag-mask ventilation at the time of induction in the same way. So how good is your bag-mask technique? Paediatric anaesthetists who regularly have trainees coming through always end up spending a bit of time obsessing over this bit. Which makes it seem like a good topic for a post to share tips and tricks. 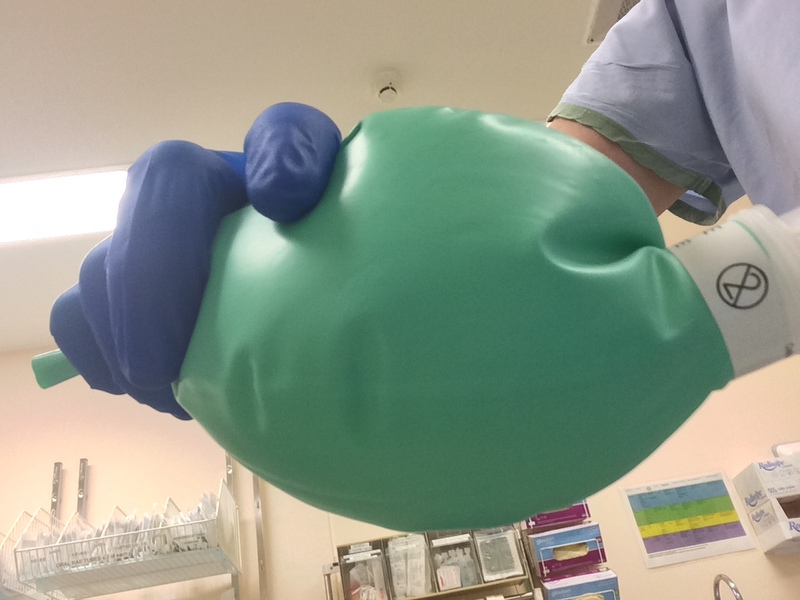 Below are collated thoughts from a range of anaesthetists both old and new to the site – Dr Neil Street, Dr Donald Innes, Dr Jenny Chien, Dr Ian Miles, Dr Su May Koh and Dr Andrew Weatherall. Rest assured we’ll get to the fancy gear and intubating bit some other time, but in the meantime here’s a few thoughts to get some chat flowing. Now do you hold a T-piece like this? OK, a little low res but here’s the alternate hold. And to reduce the size of the bag it’s a quick twist, still with the same control. Who figured everyone would have that many words about a bag, a mask and an airway? Go forth, try them out, tell us what’s useful and what’s not. One of the advantages of looking after those kids who are spontaneously breathing is you can really assess if that technique is up to scratch. Of course this is just a start and we’re not saying these are all the things that work that have ever been considered. It’s just a few words about treading lightly and keeping seals (which would also be a pretty good set-up for a nature documentary). Got any suggestions to add? That’s what the comments are for. 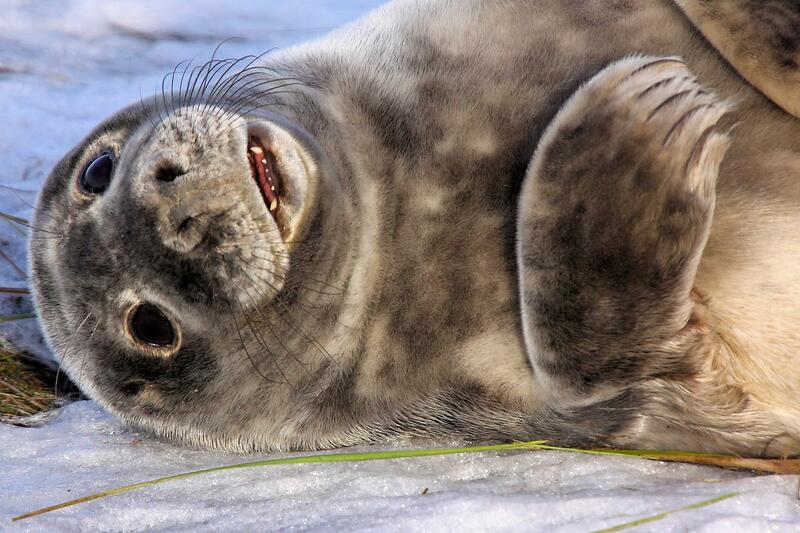 That photo of a seal is an unmodified image obtained via the creative commons area of Flickr, having been posted by Airwolfhound. And if you like this stuff, please consider a follow (there’s spots to sign up on the page).